A teenager was taken to hospital after being seriously injured in a collision in St Helens. 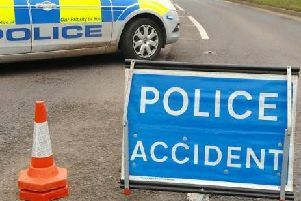 Police said they received a report of a crash involving a suspected stolen scooter and a Peugeot 308 on Clock Face Road at around 11.20pm on Friday. The rider, a 16-year-old boy, was taken to hospital for treatment to serious leg injuries. His condition has been described as "stable". A police investigation is under way and witness, CCTV and house-to-house enquiries are ongoing to establish exactly what happened. Anyone who saw the incident or has any information or dash-cam footage is asked to contact @MerPolCC on Twitter or call the roads policing unit on 0151 777 5747 with reference 18200194047. Alternatively, contact Crimestoppers, anonymously, on 0800 555 111 or tweet @CrimestoppersUK.